Photorefractive Keratectomy, or PRK, has been around longer than LASIK and remains a great vision correction option. 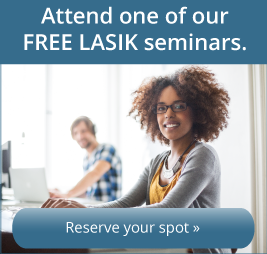 Not everyone's eyes may be structurally suited for LASIK surgery, so PRK could be an option in these cases. One such instance is if a patient has a cornea that is significantly thinner than average. We use special instruments to measure this during the pre-operative consultation and will discuss the issue if it is relevant to your case. PRK involves shaping the actual surface of the cornea rather than creating a "flap" and reshaping the tissue below it. 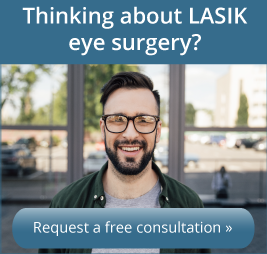 PRK may be slightly less comfortable than LASIK surgery — PRK can also have a longer recovery period with blurred vision for longer — but the cells heal and the eventual visual result is excellent. The lack of a remaining flap makes PRK a good treatment choice for patients who have particularly thin corneas or jobs (some branches of the military) and interests (mixed martial arts) that may cause impact to the eye itself.